Tired of London? Samuel Johnson said you are then tired of life. But sometimes, there are attractions in living outside the capital, while continuing to work in the centre. Such as a nice big garden, and being away from the “urban heat island” that makes London hotter than the surrounding regions. 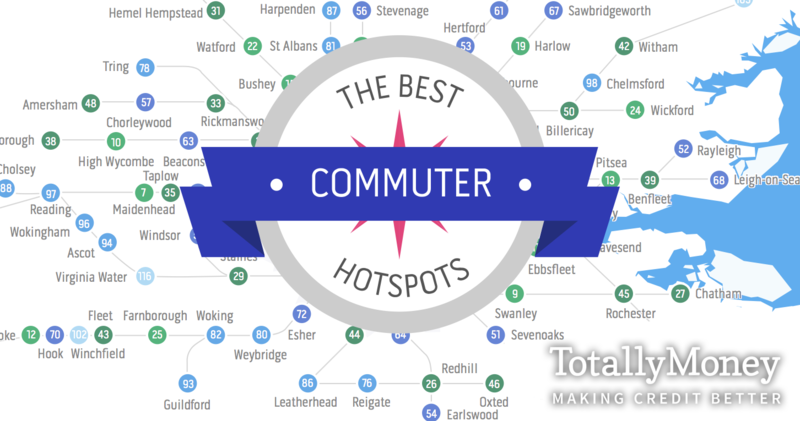 To do that, you need to pick a good commuter town, and this tool, from TotallyMoney (who also produced a London house price/sqft map we featured a while back), aims to help you find that. It’s been freshly updated with 2018 data. 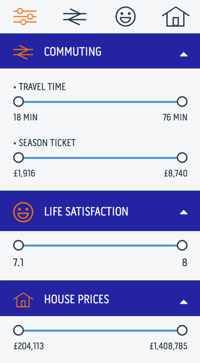 Basically, there are four attributes – min/max travel time to a London terminus, season ticket cost, life satisfaction score (between 7 and 8 – ask people how happy they are with life, out of 10, they will generally say 7 or 8 on average) and house prices. The tool adds these values together, and ranks each of 115 towns. You can set min/max filters on each of the attributes, and the tool will then reorder the rank of towns that have values falling within your filters. 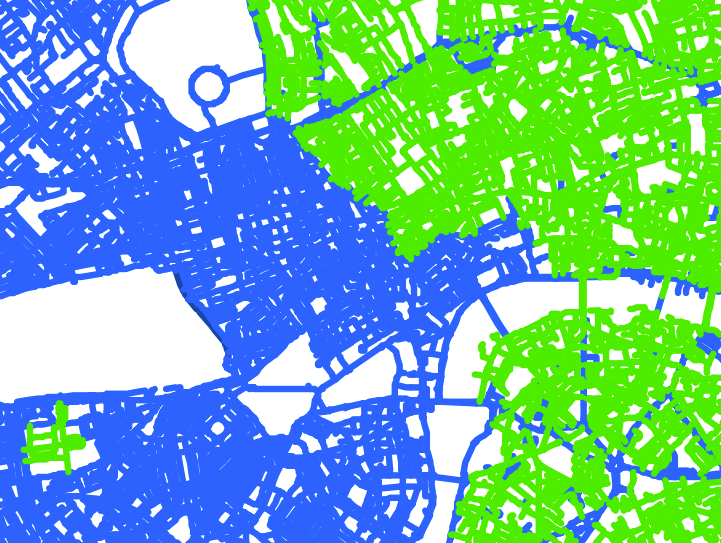 A green/blue colour ramp is used to highlight the better places. Looking at all 115-odd places, Purfleet in Essex is No. 1. 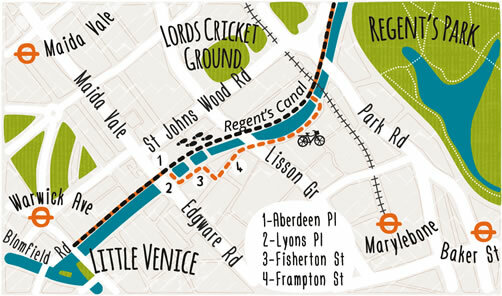 Cheap, quick commute in, happy people and good value (relatively speaking) house prices. 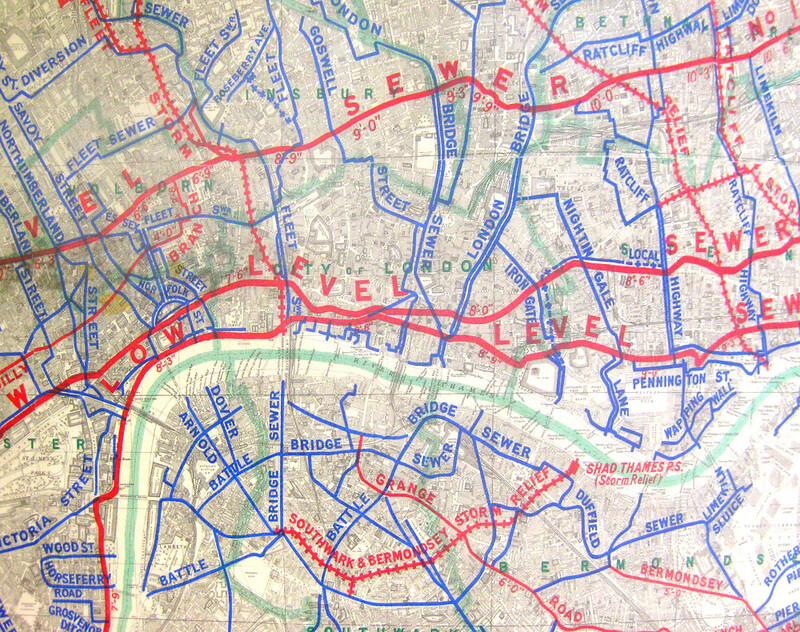 The results are arranged on a pseudo-map of how the towns link to London via the rail network. 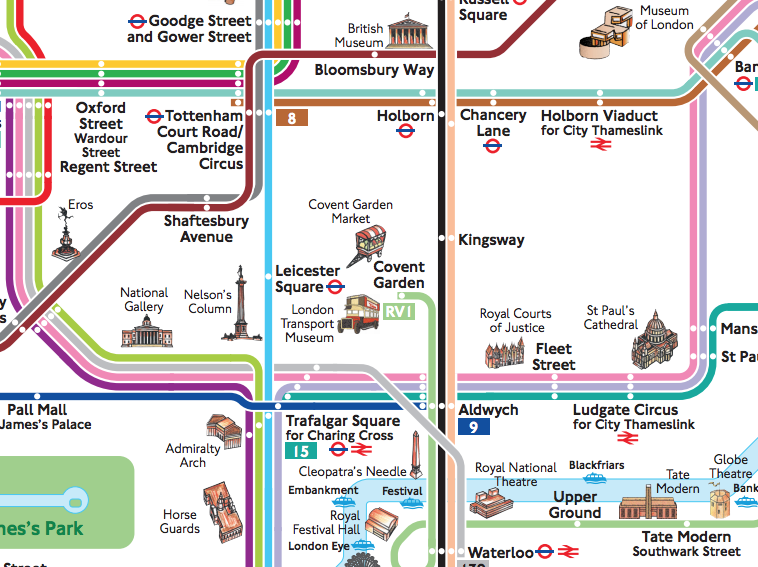 It’s not quite right – it’s missing Cambridge to Liverpool Street, and Bedford to Luton for example, and is also missing a few towns, e.g. Marlow. 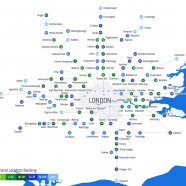 Hertford and Ware are not connected to London correctly, and Cheshunt is also wrong. So don’t use it for journey planning, but it might give you some ideas on places, for sure. 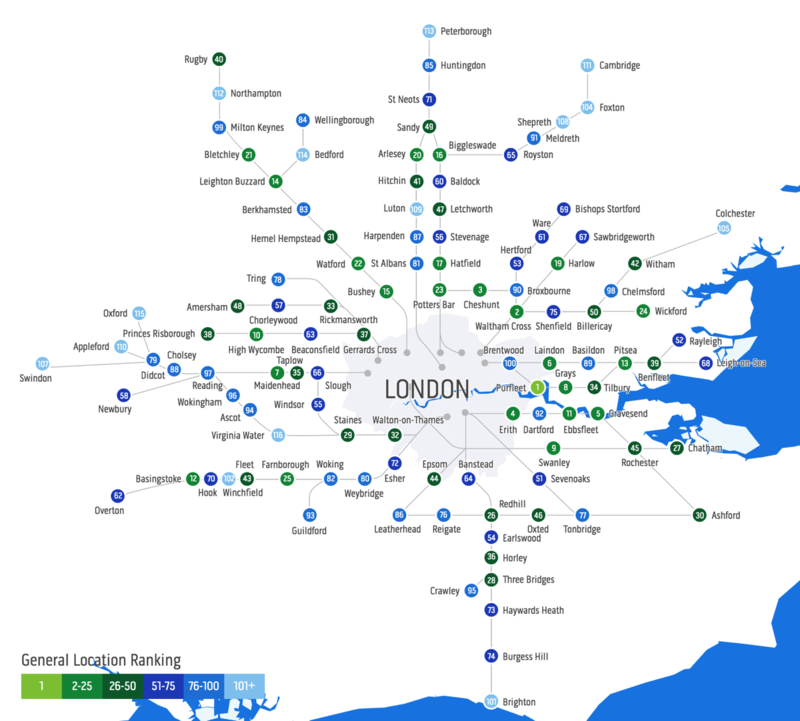 To see the actual rail network surrounding London, check this map – coloured by commuter/non-commuter ratio. Click on the image below to activate the tool, you can also view it direct on the website. View Interactive Version (via Totally Money). Your ranking seems to have created a new connection between Leighton Buzzard and Bedford. As a former resident of the, ah, former, this would have been quite useful on occasions! 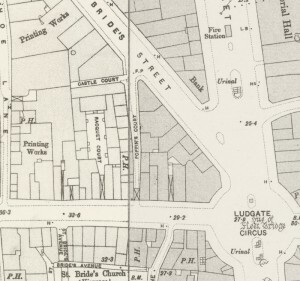 And Tring seems to have entirely jumped lines, now apparently connected to Marylebone. Yes indeed, I am quite impressed at how mis-connected the network is. One reason why I sat on this graphic for a long time before posting it – but I quite like the cartographical style even if the network is flawed. Purfleet as number 1. Hmm. Really? I mean it is actually a total shithole. They somehow missed that! They did base their ranking on just three variables – not including yours!